At this weekend’s NorthernRocks15 conference, Andy Knill and I tried to take our SOLO taxonomy workshop a bit further than we did last year. Previously we were concerned with illuminating the basic rubric of the taxonomy and embroidering it with exemplars we have accumulated over the time we have been involved with the model. One year later, and well into a ‘no-levels’ world (except for KS4 and 5, where we continue to call them ‘grades’) we are both conscious that many teachers are still looking for the definitive model of Assessment and system for mapping Progression. If there aren’t exactly a thousand flowers blooming, well at least there are concerted attempts to grapple with what progress really looks like, how to assess manageably, accurately, and fairly and come to a considered notion of what we really want to do in the open-roofed assessment arena we find ourselves occupying. There is clearly continuing interest amongst many in exploring SOLO taxonomy; that was evident in the attendance both last year and this at the session we put on, and by the growing number of TeachMeets and Pedagoo events that have advocates speaking on the model. It’s not everyone’s cup of tea – I know that from putting on sessions in my own school: I’ve always claimed it is there as a possible answer to a need. But if you don’t have the ‘need’ in the first place that SOLO can address – then use your time cultivating other avenues. But it’s intriguing to see how – in some cases departments and in others whole schools – have chosen to model not just assessment practices but scheme-of-learning development on SOLO taxonomy (clearly it makes sense to conjoin the two). At Kev Bartle’s Canons High School, SOLO has been selected as the key driver for assessment from Y7 on, and Stephen Tierney has a series of posts about how SOLO forms the template for schemes of learning and assessment criteria within his academy chain. Just as there is no problem-free way of teaching, nor is there of assessing. It’s, at best, an approximation and the tighter you want to pin down the squidgy interpretation of progress, the narrower the criteria you can reliably draw upon. In this, SOLO is no different to any other vehicle of assessment and in this year’s workshop we were keen to square up to the common issues encountered in using the taxonomy to assess and measure progress. Without a consideration of the possible errors in application, execution and interpretation SOLO can lead you enthusiastically along a process, only to find you’ve fallen deep into a sinkhole you never expected to encounter. Some critics of SOLO will say these are enough to avoid the taxonomy wholesale. I think that’s chucking away the map because we’ve noticed an ink stain in one square. We find ways around and construct avoidance strategies. SOLO Sinkhole 1: Ascribing ‘levels of attainment’ (& hence, markers of ‘progress’ -) to SOLO stages. If a KS2 student shows themself to be more cognitively adept by regularly demonstrating ‘extended abstract’ in activities, then what will they be expected to demonstrate to provide evidence of this same SOLO stage when they’re 2, 3 or 5 years older? Without relating the ‘observed learning outcomes’ to ‘what would be expected for a student at this age’ the different stages hold little objective meaning. This requires teams of teachers to consider the level of complexity/sophistication of ‘Description’, for example, that may be expected from 11 year olds of different abilites compared with 14 year olds, 16 year olds and maybe 18 year olds. It make sense to characterise those markers of attainment as required to score different grades at GCSE and then work backwards to pitch the level at which they need to be developed in serial earlier years. (This will throw up challenges for non-cross-stage teachers who may have little experience of what students need to be capable of in subsequent stages, but drives an emphasis on cross-phase/transition discussion to map out subject markers from early years to later adolescence. That requires a developmental charting of, for example, what ‘Categorising’ in Geography may look like for students at different ages. The discussion about how ‘progress in my subject’ develops in the key elements of the discipline is something I think we’ve assumed teachers have a clear concept of, but which – in talking to many teachers over the years – a considerable number feel insecure about). SOLO stages are largely age-irrespective but require reinterpretation based on the cognitive abilities that can be anticipated for different age stages. SOLO Sinkhole 2: Thinking a SOLO active verb has a fixed level of challenge. Only last week, in preparation for their A2 exam my Y13s were unanimously claiming the hardest question they find themselves facing on the paper isn’t the essay, or the ‘tell us what you know abou this process….’, it’s the first, smallest-mark structured question on the paper that often begins with ‘Describe and comment on….’ and it’s followed by a map of city-distribution, or a graph of air pollution, or table of fertility rate by different countries. And yet, the ‘Describe’ active verb in SOLO is in the Unistructural phase of apparent low cognitive demand. Describing a ‘distribution’ is not at all easy. It requires a whole array of knowledge that correlates with the pattern (countries, levels of development, biomes, mountain ranges….) and procedural knowledge of the elements that go into pattern description (nucleation/dispersion, clustering/linear, regularity/irregularity, anomalies…..). These can be taught, but they’re not easy to show facility with. At the other extreme ‘Evaluation’ is seen as a functional ability element of Extended Abstract rather than declarative knowledge of Uni-/Multi-structural stages of SOLO. And yet a KS2 child can ‘evaluate’ their favourite stories or whether they’ve performed well on the field in sports’ day. But try getting a 16 year old to ‘evaluate’ their fieldwork for its appropriateness of methodology, reliability of results and confidence in the accuracy of their conclusion – and you’re into a different regime altogether. SOLO ‘verbs’ are not distinguishers of progression in themselves. It depends on the cognitive challenge of the material they evaluate, the range of necessary procedural steps they need to take, and the sophisication of the response anticipated. 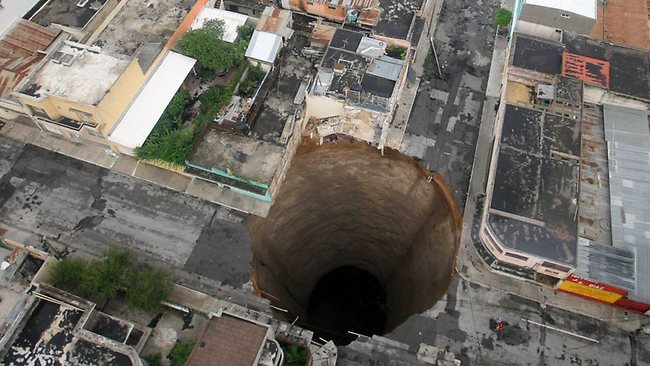 SOLO Sinkhole 3: SOLO does not cleanly and crisply define ‘Who is ‘more intelligent’? Consider the 17 year-old who writes a relevant extended answer, incorporates a range a valid information accurately, manipulates the concepts into a sensible sequential order, and comes to a simple but valid conclusion? Or the student who never gets to write a conclusion (ran out of time? couldn’t be bothered? couldn’t think of one?) but who has not only included a wider range of very precise information, brought in original exemplification and has classified the material on two sets of criteria – by category and over time (short/long term effects)? In other words the first student has ‘ticked off’ all the stages of the SOLO taxonomy, including ‘Extended Abstract’, but the second student has accomplished all but the last stage much more impressively? I would suggest it doesn’t matter. We are not the final examiners and until then it is all formative assessment. The first student needs to work on the multistructural and relational stage of his essay, the second needs to analyse why she didn’t tackle the ‘extended abstract’ and make sure she does next time. SOLO stages are not clear-cut markers of attainment in sequence, but are most effective when used to profile accomplishment, monitor change in each capacity and identify areas for development in dimensions of both sophistication and functional ability. There will be other elements where the application of SOLO throws up issues, discussion and inexactitude. But the richness of the taxonomy for teasing out what students are demonstrating, and guiding their next steps is what keeps so many teachers using and pursuing this model. In promoting discussion within departments and schools about what progress looks like, and defining subject-criteria of what we should be striving for with students at different stages of their education, many of us find it has a richness that excites and has proven- and continuing – value. You can download the Dropbox powerpoint of the presentation Andy Knill and I gave at NorthernRocks15 at Leeds Beckett University on June 13th 2015 here. Many thanks to all those who attended and those whose SOLO work was made use of in the workshop.